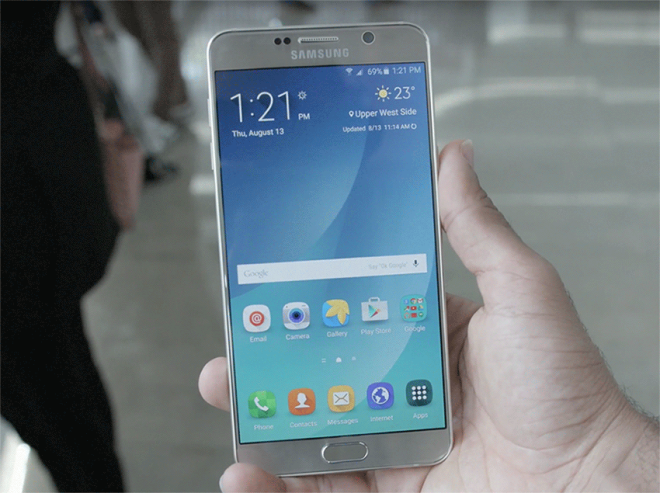 UPDATE: T-Mobile’s Galaxy S6 edge+ is indeed receiving an update today alongside the Note 5. Days after the Galaxy S6 and S6 edge+ were updated, it’s time for another pair of Samsung phones to get updates. A couple of Galaxy Note 5 owners have pinged me to say that they’re receiving a software update today to version N920TUVU4DPK6. It’s likely that the Galaxy S6 edge+ is receiving a similar update, as these phones are typically updated in tandem and a new firmware for the T-Mo S6 edge+ is listed on this Samsung-focused firmware site. 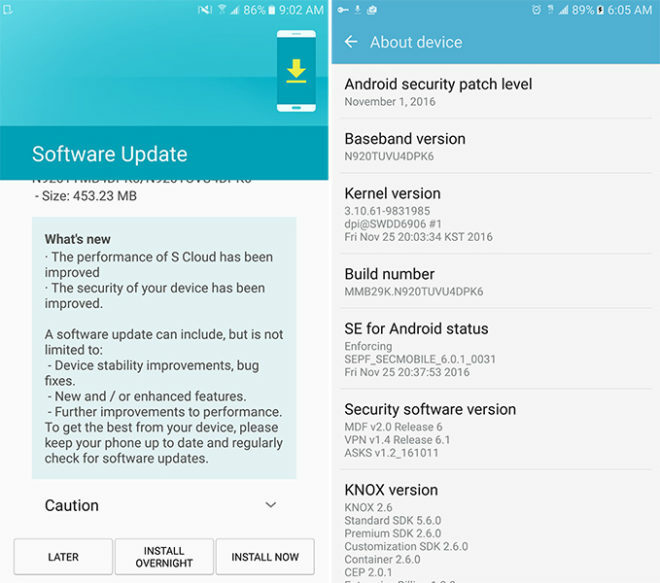 As for what’s included, it looks like Samsung and T-Mobile are rolling out the November 1, 2016 Android security patches, and S Cloud performance improvements are also said to be inside. T-Mobile has yet to update its Note 5 and S6 edge+ pages with these updates, though, so there’s no other info on them quite yet. If you’ve got a Note 5 or S6 edge+, you can check for updates by going into Settings > About device > Software update. It’s important to keep your phone and all of the data on it secure, so if you’ve got a Note 5 or S6 edge+, be on the lookout for your new update and the security improvements that it brings. Thanks, Phil, Juan Carlos, and Guatiao! Hopefully not too rushed like last time. I’m definitely getting one but they really should make sure everything is ok first. Off Topic for Alex -TmoNews Manager and news alert – T-Mobile announces Digits: one phone number for all your devices which is similar to google voice. I used to have a Galaxy Note 5 and it was rough waiting until April 2016 to finally get Marshmallow while Nexus devices had it since October 2015. I’ve had a Pixel XL for the last month and I’ll never go back to Samsung! No bloat and just got my 7.1.1 update today!